LONG BEACH & ORANGE COUNTY - Office Space Leasing & Buying Expert. I've been assisting companies with their office needs in the greater Long Beach area and Orange County for 17 years as a licensed commercial real estate broker and have completed nearly 1,000 office leasing and sales transactions. I can save you time and money, as I do all the work up front for you and help you negotiate the best possible, insider's deal on your transaction. 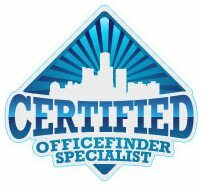 Allow me to put together a comprehensive, custom office space availability list of all office spaces that meet your unique criteria. Efficient, professional service on every transaction, from the most complex to a simple, standard lease (I've completed transactions from 1,000 sq. ft. - 500,000 sq. ft. and everything in between). If you're looking for office space for lease or sale and want the very best assistance from the most qualified professional commercial broker, then I'll look forward to hearing from you. If you are looking for office space in Costa Mesa, Long Beach, or the surrounding area contact me today!